I have been neglecting my etsy shop long enough. 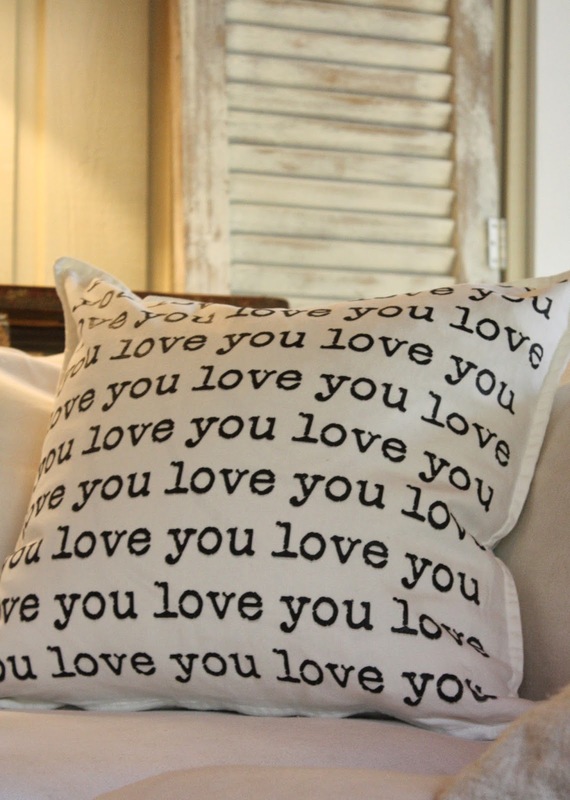 So today I am excited to announce a new line of pillows with some of my favorite saying on them! I teamed up with a screen print artist to bring you pillows that are not only machine washable, but durable, and will stand the test of time. Each one is 20"x20" and has a zipper closure. They look great grouped together, but are neutral enough to be thrown in with others. Please stop by my etsy shop here to check them out, I have a limited number to start with. 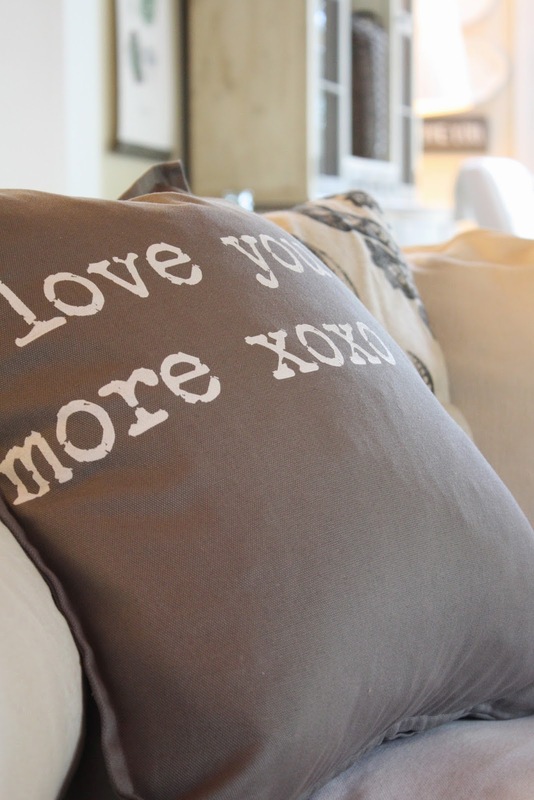 "I love you more, xoxo"
Next up is a crisp white pillow slip with bold black type. keep me in your heart, I'll love you forever." 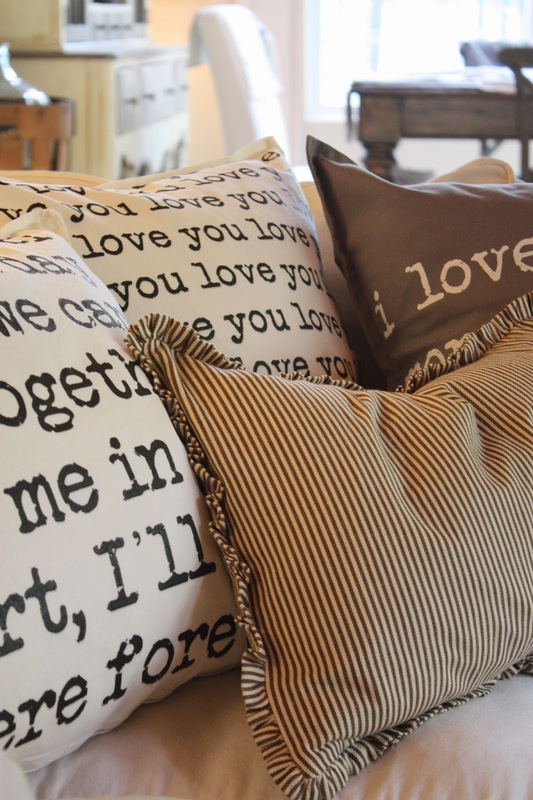 These are such a fun addition to a family room or a bedroom. Love them! These are just too cute melanie!! The pillows look so fun!! Great look! 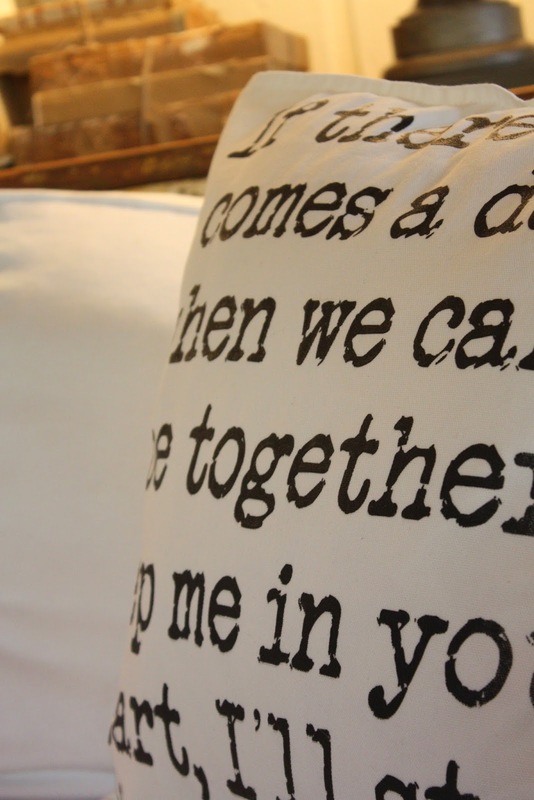 The pillows you've got there are all really beautiful, sharp, witty, pointed and cushy. I love that you've anchored and presented them really well. I just love the ones with the printed messages. Good stuff! I hope your shop continue to thrive more. Good luck! Fine samples! 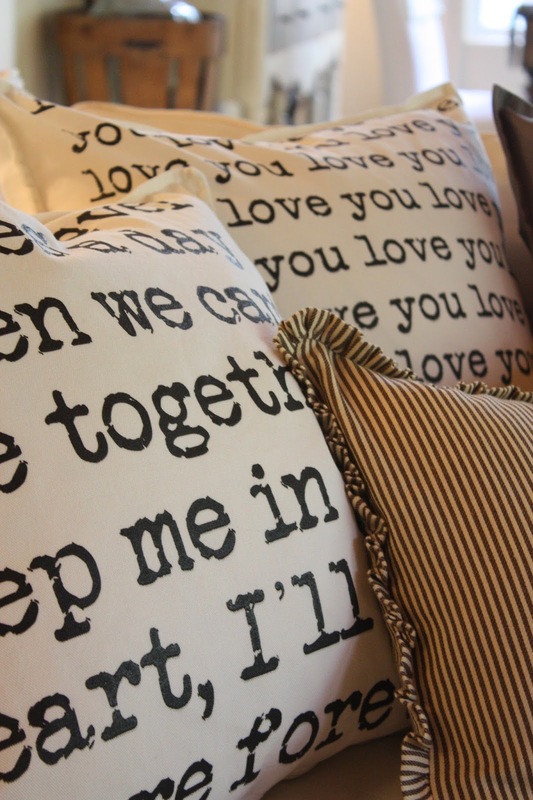 I love the statements on the pillows and how they're such great graphics. I certainly wouldn't mind to buy one, and I'm sure a lot more people as well. Thanks for sharing that! All the best!